It seems it is a good year for roses. 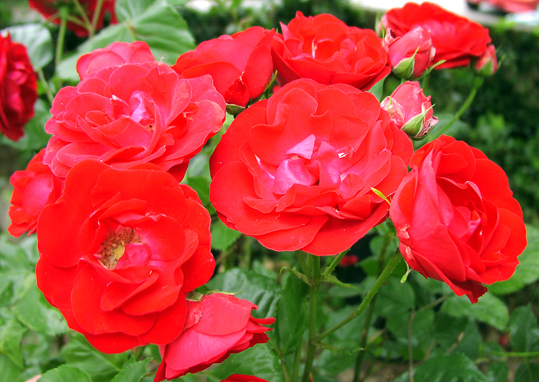 These red roses are blooming in profusion in my garden this morning. Bright red flowers symbolise love and passion, but what I like in particular about the ones on this bush is that when they are fully open the centre is easy for bees to get to, so they are environmentally friendly as well.